In 2013 Caribbean Heads of Governments established the Caricom Reparations Commission (CRC) with a mandate to prepare the case for reparatory justice for the region’s indigenous and African descendant communities who are the victims of Crimes against Humanity (CAH) in the forms of genocide, slavery, slave trading, and racial apartheid. This document, prepared by the CRC, proposes the delivery of this mandate within the formulation of the Caricom Reparations Justice Program (CRJP). The CRC asserts that victims and descendants of these CAH have a legal right to reparatory justice, and that those who committed these crimes, and who have been enriched by the proceeds of these crimes, have a reparatory case to answer. The CRC is committed to the process of national international reconciliation. Victims and their descendants have a duty to call for reparatory justice. Their call for justice is the basis of the closure they seek to the terrible tragedies that engulfed humanity during modernity. The CRC comes into being some two generations after the national independence process, and finds European colonial rule as a persistent part of Caribbean life. The CRC operates within the context of persistent objection from European governments to its mandate. The CRC, nonetheless, is optimistic that the CRJP will gain acceptance as a necessary path to progress. The CRC sees the persistent racial victimization of the descendants of slavery and genocide as the root cause of their suffering today. The CRC recognizes that the persistent harm and suffering experienced today by these victims as the primary cause of development failure in the Caribbean. A Repatriation program must be established and all available channels of international law and diplomacy used to resettle those persons who wish to return. A resettlement program should address such matters as citizenship and deploy available best practices in respect of community re­integration. European nations have invested in the development of community institutions such as museums and research centers in order to prepare their citizens for an understanding of these CAH. These facilities serve to reinforce within the consciousness of their citizens an understanding of their role in history as rulers and change agents. There are no such institutions in the Caribbean where the CAH were committed. Caribbean schoolteachers and researchers do not have the same opportunity. Descendants of these CAH continue to suffer the disdain of having no relevant institutional systems through which their experience can be scientifically told. This crisis must be remedies within the CJRP. The African descended population in the Caribbean has the highest incidence in the world of chronic diseases in the forms of hypertension and type two diabetes. This pandemic is the direct result of the nutritional experience, physical and emotional brutality, and overall stress profiles associated with slavery, genocide, and apartheid. Over 10 million Africans were imported into the Caribbean during the 400 years of slavery. At the end of slavery in the late 19th century less than 2 million remained. The chronic health condition of Caribbean blacks now constitutes the greatest financial risk to sustainability in the region. Arresting this pandemic requires the injection of science, technology, and capital beyond the capacity of the region. At the end of the European colonial period in most parts of the Caribbean, the British in particular left the black and indigenous communities in a general state of illiteracy. Some 70 percent of blacks in British colonies were functionally illiterate in the 1960s when nation states began to appear. Jamaica, the largest such community, was home to the largest number of such citizens. Widespread illiteracy has subverted the development efforts of these nation states and represents a drag upon social and economic advancement. Caribbean governments allocate more than 70 percent of public expenditure to health and education in an effort to uproot the legacies of slavery and colonization. European governments have a responsibility to participate in this effort within the context of the CRJP. For over 400 years Africans and their descendants were classified in law as non-human, chattel, property, and real estate. They were denied recognition as members of the human family by laws derived from the parliaments and palaces of Europe. This history has inflicted massive psychological trauma upon African descendant populations. This much is evident daily in the Caribbean. Only a reparatory justice approach to truth and educational exposure can begin the process of healing and repair. Such an engagement will call into being, for example, the need for greater Caribbean integration designed to enable the coming together of the fragmented community. For 400 years the trade and production policies of Europe could be summed up in the British slogan: “not a nail is to be made in the colonies”. 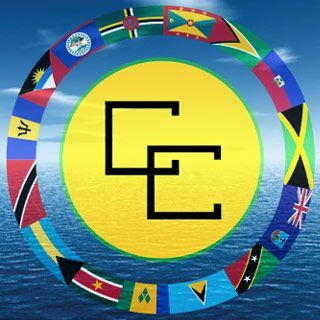 The Caribbean was denied participation in Europe’s industrialization process, and was confined to the role of producer and exporter of raw materials. This system was designed to extract maximum value from the region and to enable maximum wealth accumulation in Europe. The effectiveness of this policy meant that the Caribbean entered its nation building phase as a technologically and scientifically ill­equipped­ backward space within the postmodern world economy. Generations of Caribbean youth, as a consequence, have been denied membership and access to the science and technology culture that is the world’s youth patrimony. Technology transfer and science sharing for development must be a part of the CRJP.